A team of four librarians has recently applied and was granted a QEP Enhancement Award project entitled “Libraries Bridging the Gap between Innovation and Entrepreneurship”. 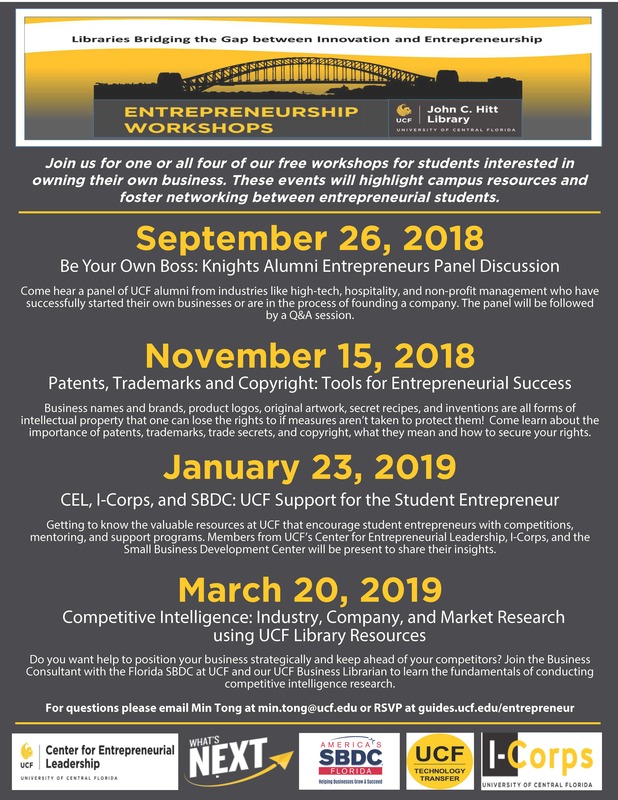 Consisting of four major events, this project is intended to encourage entrepreneurial activities at UCF by fostering an educational environment among participating departments and units that informs, supports, and inspires students. You can find more details information for each workshop at the tabs above.